In honor of National π (Pi) Day, Mrs. Davenport's 7th grade Pre-Algebra students celebrated by having a delicious slice of pie. Remember 3.14 backwards says PIE! Submitted by Kalli McMillan. Children's Advocacy Center and Walton County Sheriff's Office Smart Device Class for Parents! As a kick-off to Fine Arts Education Month (March), the Visual Art instructors of the Walton County School District recently participated in a professional development Tour of South Walton Galleries. The teachers visited several Art Galleries in the South Walton/30A area and met with the artists to learn more about their artistic journeys, as well as their creative processes. Galleries visited were Gordie Hines Gallery; Chroma/Kathleen Broaderick Studio and Gallery; Justin Gaffrey Art Gallery; Andy Saczynski Studio Gallery; Mary Hong Gallery; A. Wickey Gallery; and Adaro Art Gallery. Vivian Komando, South Walton High School Art teacher, got to visit former student, Andy Saczynski, who shared the piece that he believes helped define his artistic style - created while a 10th grade student in Ms Komando's class! 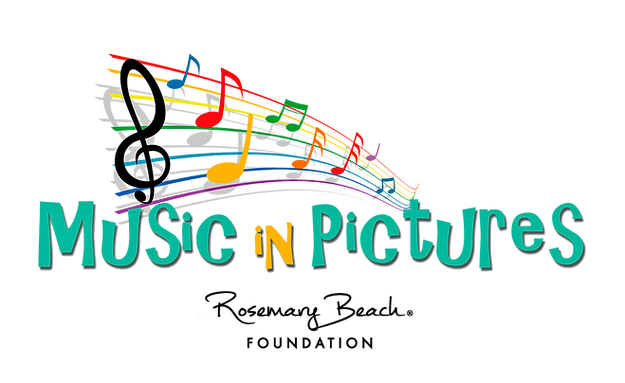 Presented by Rosemary Beach Foundation, the 7th Annual Music in Pictures is an educational art initiative and juried art contest open to ALL students in grade K-12 in the Walton County school system – both public and private. Created in collaboration with professional musicians and university faculty, Music in Pictures encourages lifelong appreciation of symphonic music, enhances learning and provides educational enrichment. During the Fall 2017, students discovered the power of music through visual arts, classical performances, and classroom presentations. The Music in Pictures project promotes creativity through the juried art contest where over 4,000 Walton County students (Kindergarten – 12th grade) from 17 Walton County Schools* created a painting of their interpretation of classical music. The 7th Annual Music in Pictures celebrates the music of five diverse composers: Ludwig Van Beethoven, Claude Debussy, Maurice Ravel, Edvard Greig, and John Luther Adams. Each school selected their student artwork for judging and public exhibition. The 2018 Judges’ Panel included visual and performing artists. The quality of the 367 submissions made their job extremely difficult. Mrs. Jill Smith’s AP Environmental Science students traveled to FSU-Panama City Friday, March 9, 2018, for the annual Envirothon. The Seahawk team finished 1st out of Walton County schools and 4th overall.